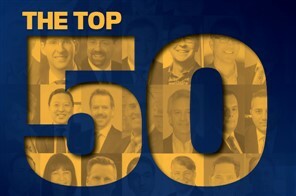 Making his first appearance on Wealth Professional’s Top 50 Advisors list, Duncan Stewart of Stewart Financial finds himself in the upper echelons after a highly productive year. Adding $40 million to his AUM total last year, Stewart now oversees $220 million for his clients. A graduate of the MBA program at McMaster University, Stewart looks to his alma mater first when searching for new recruits for his team at Stewart Financial. Education clearly is a priority for him – he holds FCSI, CIW, CIMA and CFP designations. He took his first step on the financial services ladder at Laurentian Bank in 1997, and has overseen the Stewart Financial team for 16 years.